Hydrogen sulfide occurs naturally in crude oil and can also be created during refining and processing. It is a serious – and potentially deadly – issue. The SurPhase SCAVENGE line of products are a safe, effective family of patented zinc carboxylates designed to remove hydrogen sulfide, mercaptans and other sulfur compounds. SurPhase SCAVENGE products react with H2S to form non-hazardous, sulfur compounds (zinc sulfides) and mitigate the harmful effects of the dangerous gas. They can effectively remove H2S, even at very low levels. Unlike most conventional H2S scavengers, which are water soluble, the SurPhase SCAVENGE products are oil-soluble and thus are easily mixed into the oil stream and are effective in areas where other scavengers are not. The Surphase SCAVENGE products can be very effective in controlling deadly H2S in the vapor phase of transport vessels and storage tanks as well. They require no special equipment or costly capital expenditures. 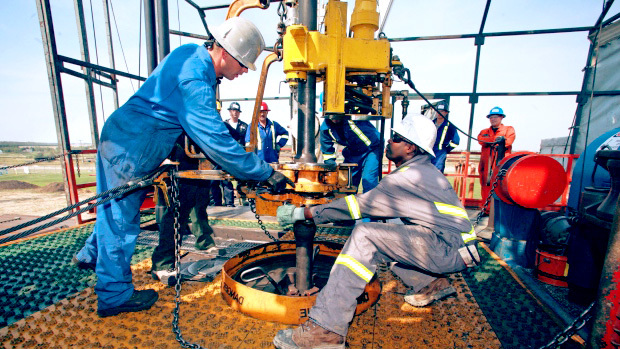 Production / Drilling / Extraction – Prevents acute health and safety issues. Protects drill strings and equipment at the well site. Also useful in oil-based drilling muds. Refining – helps control H2S created in the refining process by degradation caused by catalysts or high temperatures. Asphalt Production / Separation – mitigates H2S coming in from vacuum tube bottoms as well as the toxic gas being produced by high temperature processing. Transport – controls levels of H2S created during heated transport, reducing safety and environmental issues. Waste water – water-dispersible SCAVENGE 316 can be used to control dangerous H2S gas in sewer and waste treatment applications. Also very effective in removing mercaptans and other odor causing compounds. Sugar Production – H2S gas is often formed in the processing of sugar beets. SCAVENGE 316 can be used to mitigate the toxic gas created in the anaerobic environment. Would you like to learn more about what SurPhase SCAVENGE products can do for you?